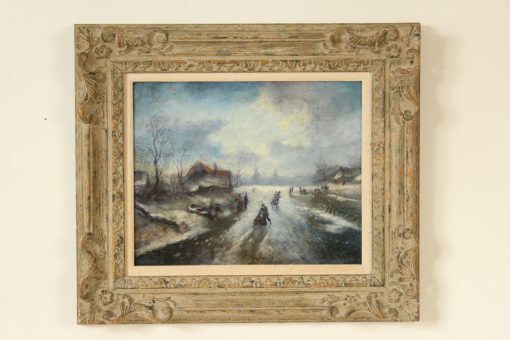 Dutch winter scene painting, circa 1950. Oil on board. Frame dimensions, height 20″ width 23″. Dimensions of painting, height 12″ width 23.5″.